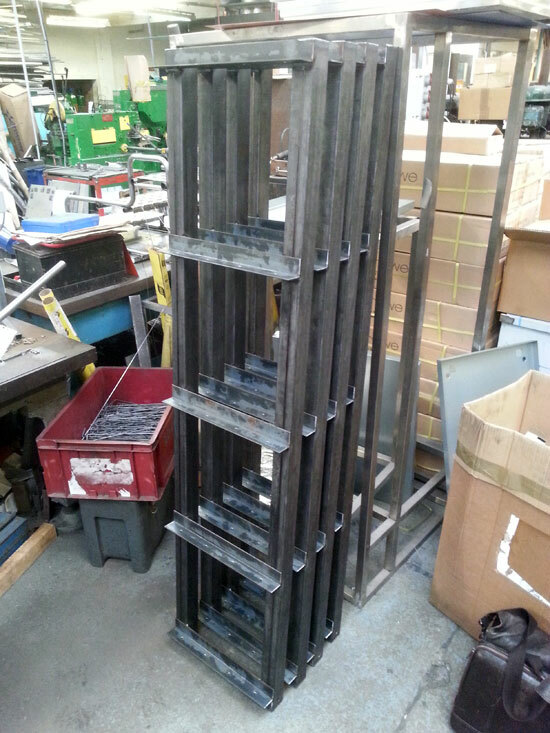 Some shelves for the office of Birmingham based designers Substrakt. They’re of steel construction with reclaimed timber shelves and a really nice ‘X’ of flat steel bar across the back. So far just the ends are made but they’re looking lovely.